We have recently been putting the final touches on our vision for the year. This is our essential agreement, which is the result of a lot of exploration and discussion over the past two weeks. 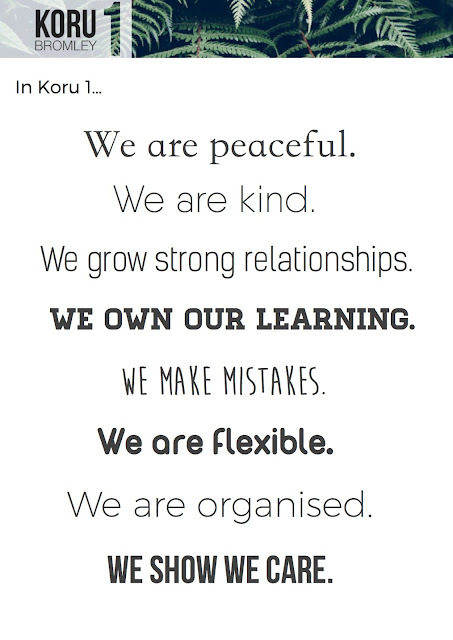 We began by sharing some of our experiences at school, and identifying what we know works and what doesn't for us to learn well at school. Things like noise level, classroom layout, and the role of the teacher were discussed, and it was fantastic to see most of us having strong opinions and ideas to confidently share. The graphic below is now on our classroom wall and we will refer to it often. 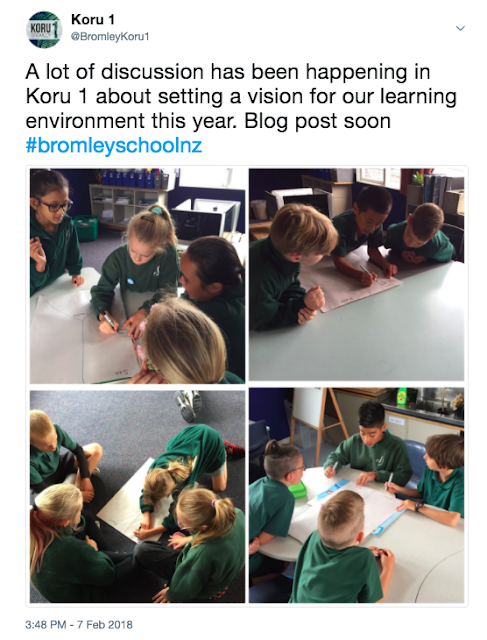 This is what we call our classroom vision, which sets out the guidelines for Koru 1 to live and learn by at school this year.